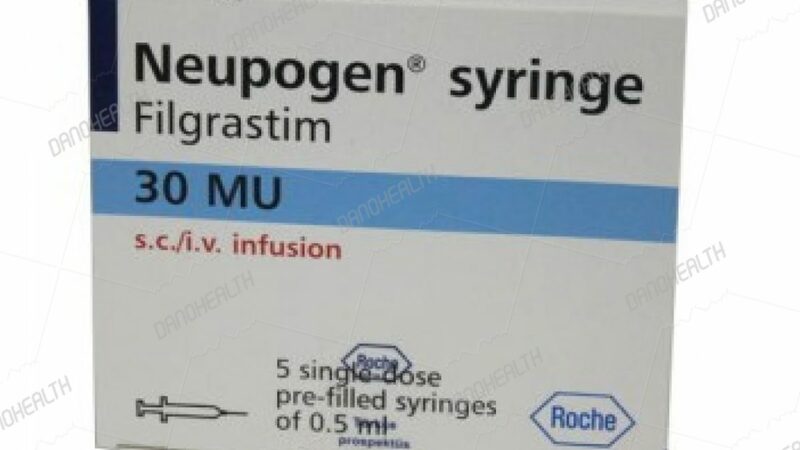 Pegfilgrastim is a Pegylated form of GCSF (Analog Filgrastim ) manufactured by Amgen (U.S.) and Kyowa Hakko Kirin (Japan), two of the main medicine supplier for hospitals. It helps to stimulate the level of white blood cells (neutrophils). There are several trade-names for Pegfilgrastim; Neulasta and G-CSF are some of these names that health care professionals use when referring to the generic drug name Pegfilgrastim. In the early 1990s: for the first time, Amgen Inc. marketed Filgrastim in the North American and European markets under the brand name Neupogen. In 2002: Amgen Inc. released an approved pegylated, long-acting formulation of Filgrastim under the brand name Neulasta (Pegfilgrastim) to further capitalize on the G-CSF market. In 2015: It was Launched and then registered for Radiation injuries in the USA; Sandoz’s Filgrastim-SNDZ (trade name Zarxio) was approved as a biosimilar, not as an interchangeable product. In 2016: A biosimilar application from Sandoz was rejected by the US FDA. In 2018: Mylan NV approved the first biosimilar in 2018 as Fulphila Pegfilgrastim-JMDB. is given to people whose ability to make white blood cells is reduced for instance, due to chemotherapy, chronic neutropenia, or exposure to large amounts of radiation. Stimulating the growth of “healthy” white blood cells in the bone marrow, once chemotherapy is given but this is not a chemotherapy drug. Be given at least 24 hours after chemotherapy to stimulate the growth of new, healthy, white blood cells (WBC). Filgrastim is a man-made protein that stimulates the growth of white blood cells in the body. White blood cells help the body fight against infection. Pegfilgrastim is a long-acting version of Filgrastim with a substance called Polyethylene Glycol (PEG) attached to it. The attachment process called pegylation is used to allow active substances (the Filgrastim) to stay in the body long before they are broken down and eliminated. Pegfilgrastim is a growth factor and stimulates the production, maturation, and activation of a type of white blood cell called neutrophils. It also stimulates the release of neutrophils from the bone marrow. Pegfilgrastim can accelerate the recovery of neutrophils, reducing the time in which people are susceptible to infections (the neutropenic phase) in patients receiving chemotherapy. The U.S. patent for this medication was expired in June 2015. It generated revenues of USD 4.56 billion in 2017, a decline of 2.97% from the previous year. Neulasta price is about $7000 but the drug price for hospitals is lower and maybe around $ 5000. 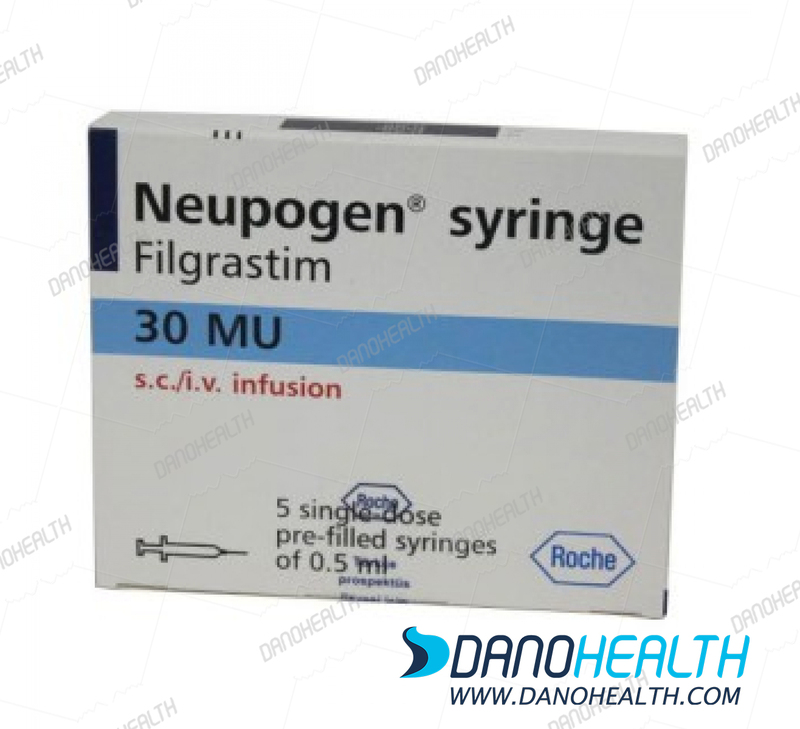 Amgen Inc. first marketed Filgrastim under the brand name Neupogen, in the North American and European markets and it dominated international G-CSF market, achieving $1.3 billion in sales in 1999 due to the lack of a competitor product in the North American market. In 2007, Neulasta sales increased to 51% of the international G-CSF market, earning $5.6 billion; it followed by Neupogen, with 24% of the market share or $1.3 billion in sales. Currently, Neupogen accounts for 76% of the neutropenia market in the United States. It was expected that the drug lost its market share in 2016. Due to biosimilar competition and branded competition, it lost about 3% market share in the United States in 2015. Revenues from sales of Neupogen was about $895 million in 2016; that’s a year-over-year decline of about 14.7%. Neulasta revenues like Neulasta decline by around 3.5% and reach about $4.5 billion in 2016. 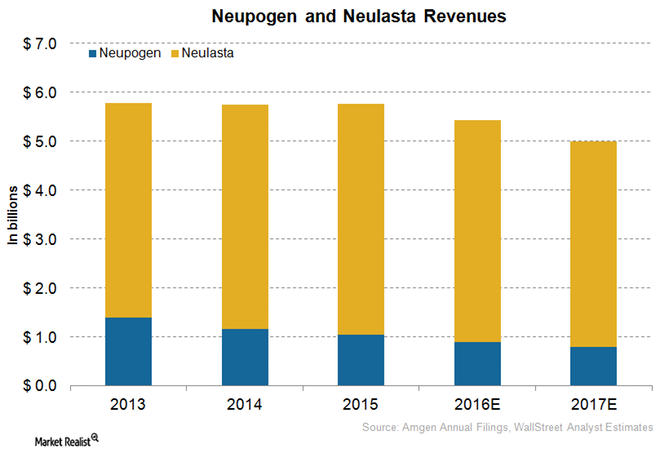 Amgen introduced the Neulasta On pro Kit and managed it to successfully penetrate the Neutropenia market. It accounted for about 24% of Neulasta sales in 4Q15. They believe that the utility of the kit will help maintain Neulasta sales. In 2012, a recombinant version of Filgrastim, TBO-filgrastim, under the brand name Granix was launched by Teva in the United States market; in comparison with Neupogen, its average wholesale price was discounted 15%. This product gained a 34% share of the short-acting G-CSF hospital market within just 17 months of its launch, which grew to an approximate 40% share after 34 months. With the introduction of Granix, competition in the overall North American G-CSF market has increased but Neulasta currently does not face any competition in the long-acting G-CSF market and that’s because there is no approved Pegfilgrastim biosimilar available. Besides, Amgen has planned to defend Neupogen’s sales; they have negotiated on an account-by-account basis with customers in the US market. Dano Health as the main pharma distributor for hospitals can provide this drug for different hospitals and clinics.